He Slips Off His Shoes And Steps Outside. What He Discovers? SHOCKING! No one needs to tell you how great shoes are. They keep our feet safe from the cold, dirt, and disease. They finish off an outfit, and for a lot of people, they’re fun to shop for! But let’s face it. After a long day, there’s nothing you want to do more than kick off your shoes at the door and let your piggies wiggle freely. There’s something so perfectly relaxing about taking off your shoes… but in reality, there’s much more going on than just getting out of some clammy shoes. It turns out that walking around barefoot — in your house, the backyard, or on the beach — is actually incredible for your health in a lot of surprising ways! Your feet do a lot for you, and while we sometimes forget about them way down there at the other end of our bodies, they deserve care, too. There are a lot of simple ways to care for various foot ailments, but simply letting them stretch free of the confines of shoes can do amazing things for not just your feet, but even your body and mind. 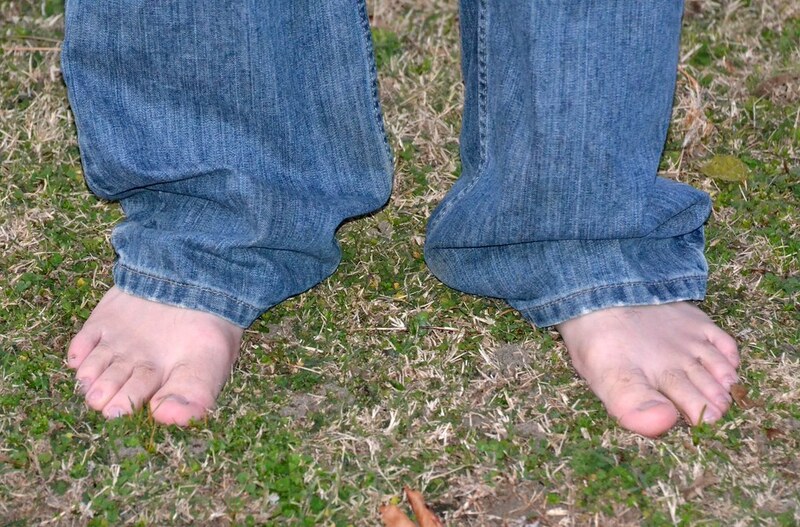 However, when going barefoot, it’s important to do so only in a safe, comfortable area. And if you have any serious back or foot issues, be sure to consult with your doctor first! Check out some of the ways free feet can make a difference in your life, and why you should try going barefoot today! Why Should I Go Barefoot? According to the tradition of reflexology, different places on your feet correspond to various areas of the body, including major organs and muscles. Stimulating those areas on your feet is believed to be beneficial to the corresponding areas on other parts of your body, and likewise, restricting or ignoring them can have negative effects on them. And walking barefoot on safe and familiar terrain — like your backyard, a sandy beach, or in fresh soil — can effectively stimulate your reflexology points! After a day in shoes, your feet can be hot, sore, and cramped. And as you probably know all too well, sore feet make your whole body feel uncomfortable! Simply stepping out of shoes lets our feet stretch and readjust, and you’ll find that any aches your feet might have felt seem to melt away as they come in contact with the ground. And once the aches are gone, your feet can start moving in a natural way. That means that the muscles and tendons in your feet, which often don’t get enough attention, are being used to their fullest potential. Walking barefoot has been shown to give people stronger, more flexible feet that are less prone to damage, and can also improve balance. When we relax our feet, it leads the way for the rest of the body to relax and release its own tension. If you’ve ever rubbed your feet after a long day, you’ll notice you’re more relaxed. And when you’re more relaxed, the chances of getting a good night’s sleep increase. Because your feet are getting more stimulation, that means your blood will be moving faster, and that’s always a good thing! Getting blood flowing, especially through extremities, keeps tissues and nerves healthy and supplied with the nutrients they need to maintain function. It also keeps veins and arteries in good shape, too. This increased circulation will also decrease blood viscosity, which means blood can move through the heart more easily and decreases risk of heart disease. Going barefoot in your home space doesn’t just have physical benefits, but psychological ones, as well. Allowing your feet to move and touch the air and floor directly is immediately relaxing. And when you walk over the uneven ground in your backyard, you’re stimulating all those reflexology points on your feet. So it’s like a little reflexology massage with each step! Shoes force our feet into unnatural and restraining positions, so going barefoot forces us to walk and stand the way we would naturally. Once you kick off your shoes, your body will reset back into a natural, comfortable, and more relaxed position — but one that’s also a bit straighter and not as tight. This will also happen when you walk, and your feet move and balance naturally. Being outside means getting some sun, and while you have to be careful not to get too much, the sun provides much-needed vitamin D, which is necessary for bone health. If you’re sitting in the shade, poke your toes into the sun for a warming vitamin boost! It happens to the best of us: After a day crammed into shoes, our feet usually end up smelling less than pleasant. This is because our feet sweat inside shoes, but without space for the moisture to evaporate, bacteria begins to grow… and smell. Letting your feet air out is a great way to reduce odor, but also get rid of bacteria and even fungus that might be hiding out, and helps prevent skin and fungal infections. Some people believe that having direct contact with the Earth is a way to balance out our magnetic charge and “ground” ourselves after a stressful day in the human world. Others claim that the tactile sensation on their feet helps them be more aware of their bodies, their surroundings, and their connection to nature. Whatever you believe, a day barefoot in the grass will make you feel great! Shoes are great. They protect our tootsies from the weather, sharp objects, and icky bacteria. But there’s also plenty our feet can do on their own, and you’ll be amazed at how relaxing being barefoot is! Of course, if you notice any sudden changes in your feet or experience pain, talk to a doctor. Please SHARE if you love the sensation of being barefoot!